What is hyponatremia and should runners be concerned about it? 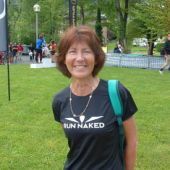 Many runners have not heard of hyponatremia but it is important to be aware of it as it can be a serious condition that could even be fatal. What is hyponatremia? In simple terms, hyponatremia is when the level of sodium in your blood is abnormally low. keeps our blood pressure stable. We all know that as a runner, dehydration can slow you down and we are often told to drink before we are thirsty or at least drink regularly. That is in general, sensible advice. However some runners go to the extreme and feel that they need to drink, drink, drink and drink some more, in order to prevent dehydration. Or perhaps they just don't know how much fluids they need, so they second guess. Who is most likely to suffer from it? Having hyponatremia can be be pretty serious and in some cases even fatal. The majority of people may have no symptoms whereas other might feel dizzy and nauseous for a while, until their blood sodium levels get back to normal. However in some cases it can be very serious and is not to be taken lightly. Hyponatremia = serum sodium concentration of 135 mmol per liter or less. 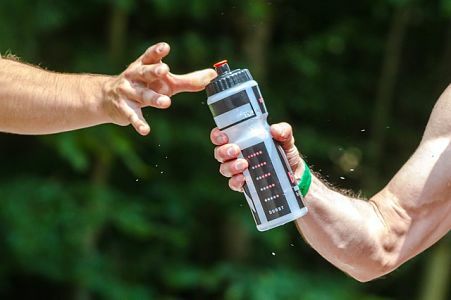 Interestingly, the longer the running event, such as a marathon or an ultra, the more likely a runner is to to suffer some degree of hyponatremia. Also the slower the runner and thus the more time they have to ingest fluids, the more likely they are to get hyponatremia. A 2002 study of 776 runners at the Boston Marathon (1) were monitored before and after the race. Of the 488 who finished, at the finish line 13% had a degree of hyponatremia and 0.6% had critical hyponatremia. So basically nearly nearly 1 in 8 runners had over-hydrated. When you are told to drink x-fl oz of fluid every x-minutes, that is a bit too much of "one size fits all". We are all different weights, sweat different amounts, run at different speeds, in different climates and so on, so the amount of fluids we need is quite individual. One of the simplest ways to gauge your fluid requirements is to get to know your body and your sweat rate. Do this by working out how much you sweat during exercise by doing a sweat test. Do a training run for an hour - make a note of the temperature and the intensity of your run. Calculate (A) minus (B) = Weight lost. If you drank fluids during your run, you should ADD that amount to your weight lost result. Similarly if you had a wee, you should SUBSTRACT the rough amount from your weight lost result. Roughly for each pound you lose, that equates to 16oz of fluid or for each kilo you lose that equates to 1 liter of fluid. So now you know how much you sweat if running for one hour at a certain intensity and in a certain temperature. Do this test as often as you like and in different circumstances, to give you and idea of your sweat rate and thus your fluid needs. Now that you know roughly how much you need to hydrate the next step is to know when to hydrate. Some people say to drink when you are thirsty and others say to drink at set intervals. This is a bit of an ongoing debate. Best advice is to drink before, during and after activity. Spread the fluids out. If you drink a lot all at once then chances are that it will slosh around in your stomach and possibly make you sick. So drink small amounts but regularly. Hydration is not just about fluid intake when running either. Don't forget the before and after exercise hydration too. Ideally you should be well hydrated at all times, even on days when you are not exercising. How much should you drink daily? Knowing what is hyponatremia, is important for all runners. 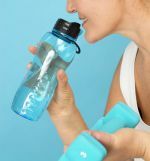 Managing our hydration is such a big part of our lives and especially so when we are exercising. Having a bit of extra knowledge could also save a life.